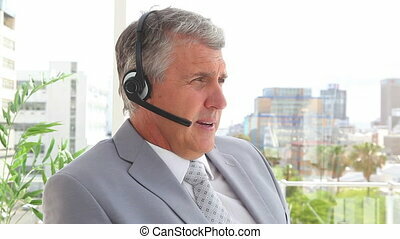 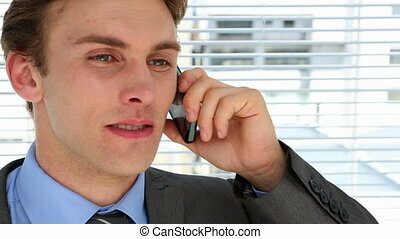 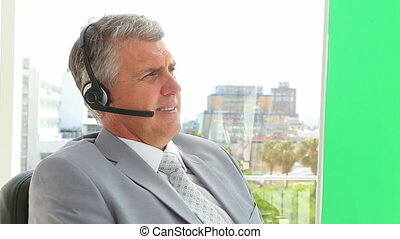 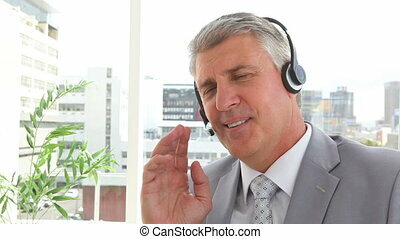 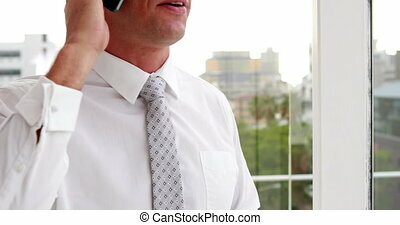 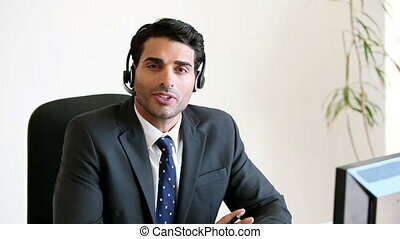 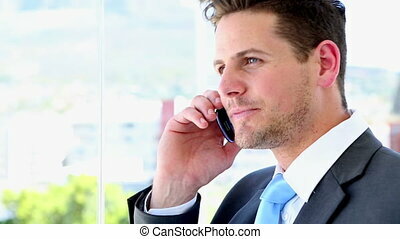 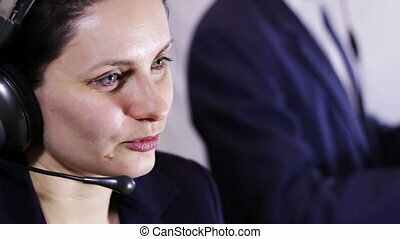 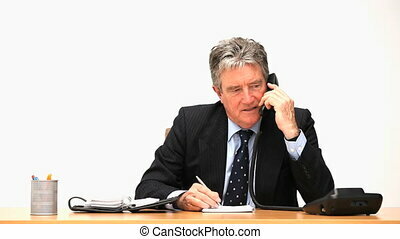 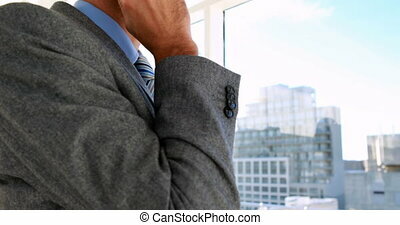 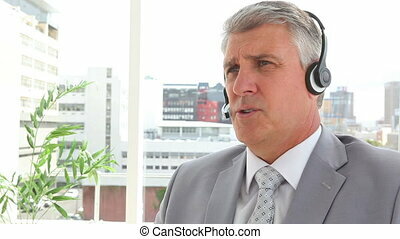 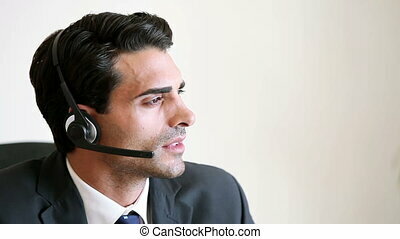 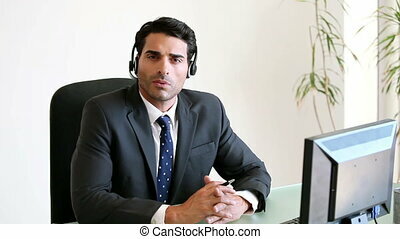 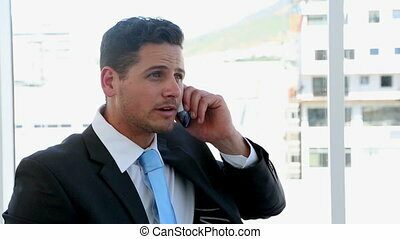 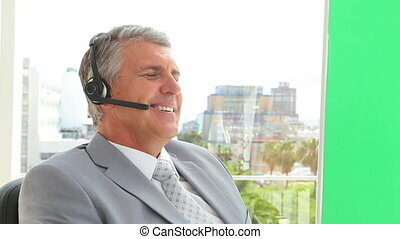 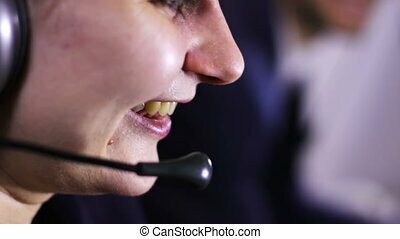 Businessman talking on his headset in his office. 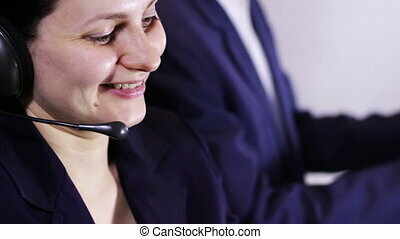 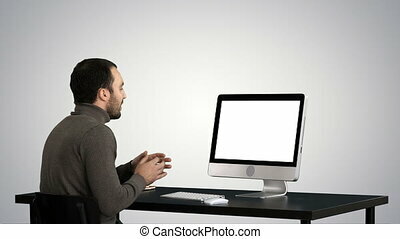 Woman approaches man at computer and explains his work beside a woman talking on headset and typing on a keyboard. 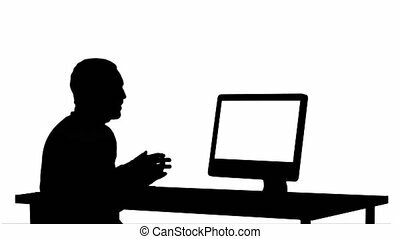 It is statistical department of a large company involved in preparation of source data for compiling of projects and reports. 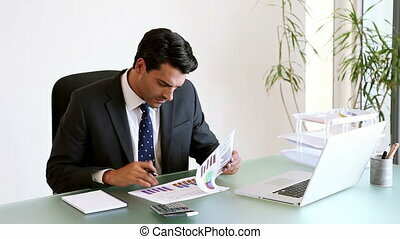 A man prepares a schedule of working on computer, approached a woman in a white blouse and brings documents with new indicators. 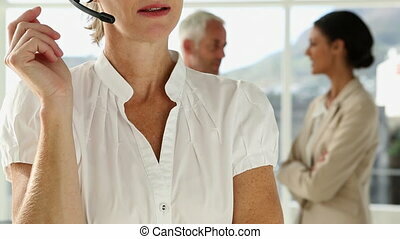 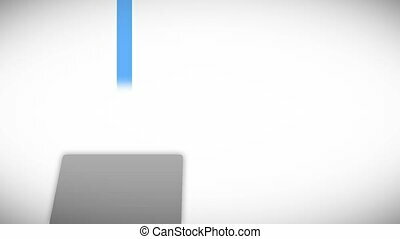 Next to them employee ring up their branches to learn labor and financial costs. 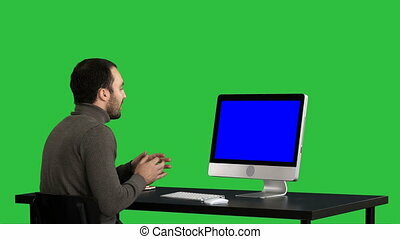 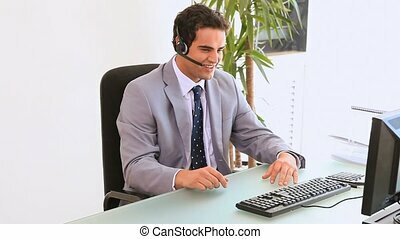 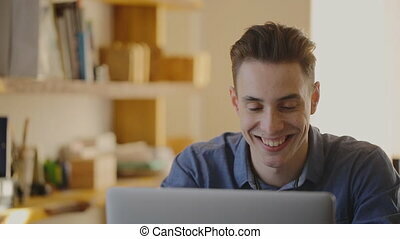 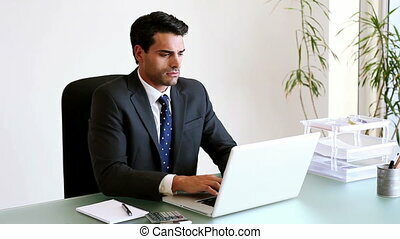 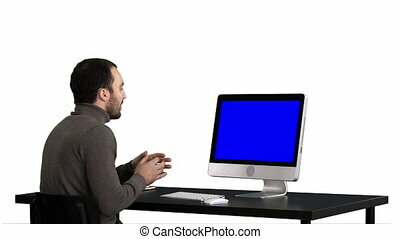 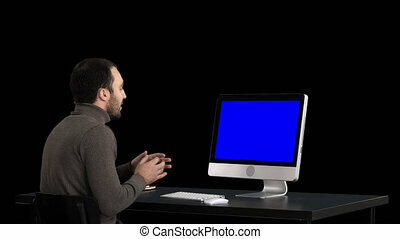 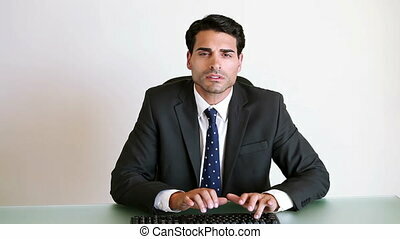 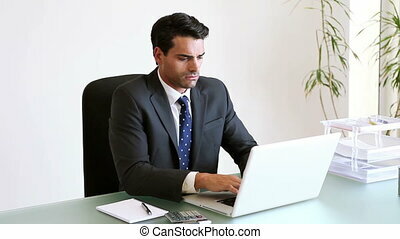 Attractive young man sitting in front of the computer screen and talking with someone. 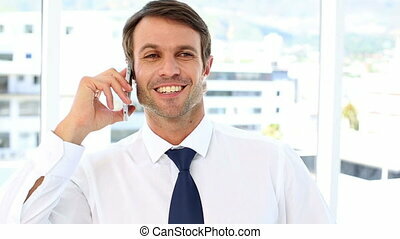 He smiles a lot, laughs heartily at the frame you can see that his face is very active mobility, and he relaxed. 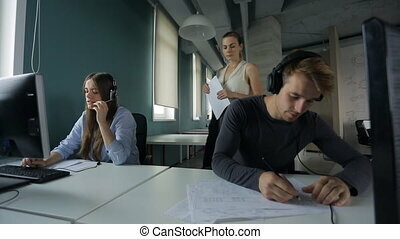 in the background you can see office space, with light wooden shelves on which are various items.